Welcome to Jack and Jill Music Classes! 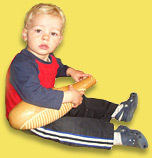 Jack and Jill music classes in Edinburgh are live, interactive music classes for babies, toddlers and pre-school children with accompanying adults and are taught by a qualified and experienced musician. Early learning is encouraged through stimulating and multi-sensory musical activities shared between the adult and young child. Many areas of child development are fostered in the classes  particularly language, social and emotional, intellectual, physical and musical  though the primary aim is always to have fun making music together! Age-appropriate classes give young children opportunities to use their voices, explore sound and music creatively, handle simple percussion instruments, participate in movement and dance and above all learn to listen in a carefully structured yet relaxed and happy atmosphere. Music is performed live, usually on the guitar, cello, piano or recorder-as well as singing of course! Content is based around flexible fortnightly themes such as music from South America, farm animals, trucks and trains, and the seaside and brought to life using an exciting range of unusual instruments including steel drums, bagpipes, the accordion and many more. We meet at St. Catherine's Argyle Church, Grange Road, Marchmont. There are parking facilities beside the church, and access for buggies and wheelchairs. How much are the music classes? Classes are £6.00 for 40 mins, payable termly in advance. Some concessions are available for accompanying younger siblings. Mary Macleod is a fully qualified music teacher and music therapist, holding a B.Mus (Hons), LTCL (Cello Performance) and a Postgraduate diploma in Music Therapy from Anglia Ruskin University? 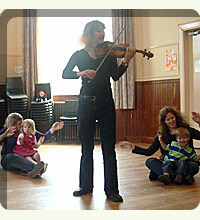 The music classes were established in 1993 by Jill Reeves and have been flourishing ever since. Some children joined as babies and have continued throughout their preschool years. Other families have returned time and again with younger siblings. Our testimonials are living proof! In September 2013 Jill moved to pastures new in the West of Scotland and Jack and Jill classes are now being run by Mary Macleod. Mary attended Jack and Jill’s music with both her daughters, where they all loved the opportunities to sing dance play and enjoy music together. She is delighted to be able to carry on attending Jack and Jill’s music, now running the classes and introducing and sharing with other families the fun she had with her children. B.Mus (Hons), P.G. Dip Music Therapy, LTCL (cello), P.G.C.E. 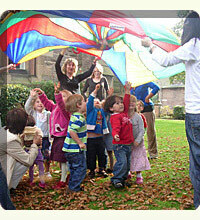 Jack and Jill has quite simply been the best pre-school activity that my child and and I have enjoyed together. I cannot recommend these music classes highly enough and really feel that they have set her up to enjoy music throughout life.